Last week, the Richmond Fed signaled that something is breaking in the US economy. 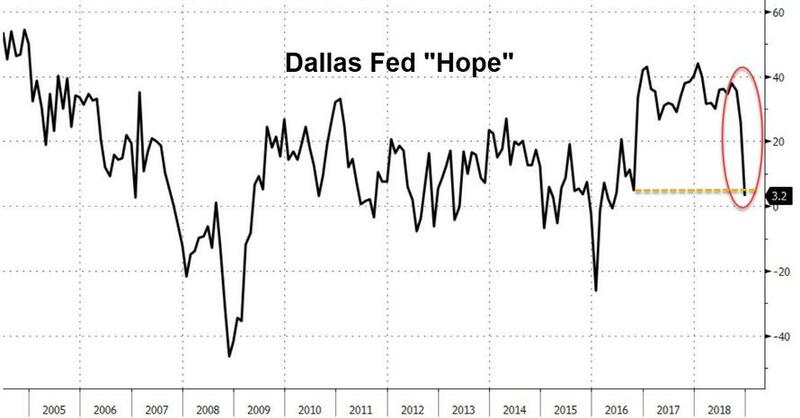 Now it's the Dallas Fed's turn, because the last time The Dallas Fed's business survey collapsed at this pace, the US economy was in the heart of its last recessionary contraction. Against expectations of a modest drop from 17.6 last month to 15.0 in December, the Dallas Fed Manufacturing survey collapsed to a stunning -5.1 - dramatically below the lowest analyst eastinate of +13.0. Erasing all the post Trump bump. 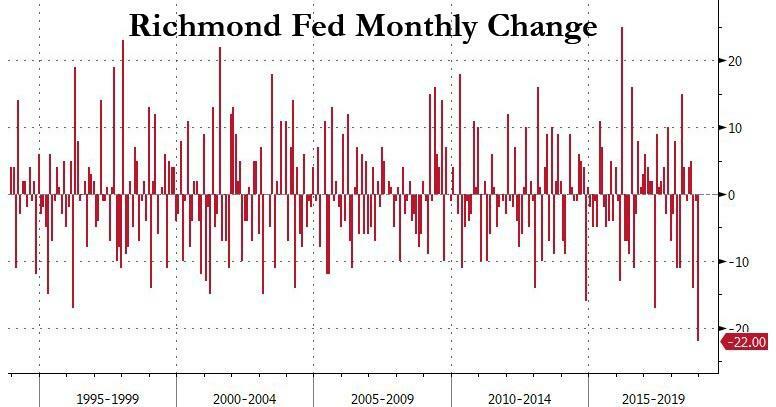 And as a reminder, just a few days ago, the Richmond Fed plunged by 22 points, its biggest one month drop in history, and dragging the headline index to the lowest level since 2016, while the shipments index plunged from 12 to -25, the lowest reading on record.